The Outpatient Dental Surgery program at Wayne Healthcare (formerly Wayne Hospital) established by Dr. Dean in 2006, is dedicated to the delivery of dental care for patients with medical, physical and developmental disabilities. As a family member or caregiver of a person with disabilities, you know how essential it is to find the right dentist. Patients with severe disabilities often need care above and beyond that provided by a dentist in a traditional setting. 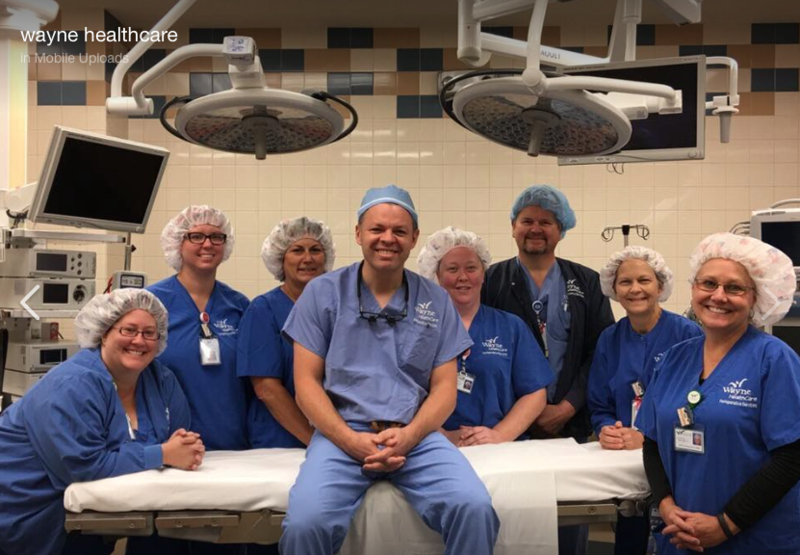 Wayne HealthCare Outpatient Surgery focuses on serving those who have difficulty receiving dental care through the traditional delivery systems. Patients who have medical conditions (e.g., cancer, cardiovascular disease, bleeding disorder, Alzheimer..), are developmentally disabled or who suffer from a debilitating anxiety toward dental treatment may seek care in a hospital setting. Wayne HealthCare Outpatient Dental Surgery renders the full range of surgical, restorative, consultative, maintenance and preventive outpatient procedures completed under general anesthesia. Consultation is made with the patient's physician to assure an individually planned approach which is caring and safety oriented for all involved.